Rhubarb for Medicinal Purposes: What are the Benefits of Rhubarb? Rhubarb is a very common and well known plant in terms of being edible, but many people also use this ingredient for medicinal purposes, as well. 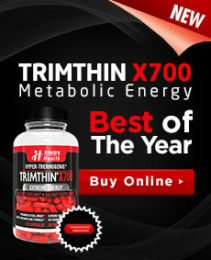 When used in supplements, it can appear on a label under many different potential names. Among them include; rhei radix, rewandchini, rhizome rhei, radix rhei, Chinese rhubarb, garden rhubarb, da huang, Indian rhubarb, Himalayan rhubarb, medicinal rhubarb, rheum emodi, rheum austral, rheum palmatum, rheum officinale, rheume tangutcum and several others. In food preparations, much of the stem of rhubarb is often used. However, it is the underground stem, also known as the rhizome, that is typically used for making medicine out of this plant. Some of the most common uses for this ingredient have to do with digestive issues such as: diarrhea, constipation, stomach pain, heartburn, gastrointestinal bleeding, preparing for certain kinds of gastrointestinal (GI) diagnostic procedures, reducing the pain of hemorrhoids, reducing the straining needed for a bowel movement, for weight loss and for topical treatment of cold sores as there are several chemicals in this plant that may actually help in the healing of cold sores. In terms of actual effectiveness, there has been some research conducted on rhubarb. So far, nothing has been conclusively proven, but the studies have indicated that it could be promising for certain specific conditions. For instance, when taken orally as a powder or extract, it may be helpful in the treatment of stomach bleeding. It could also help improve kidney function among people who have kidney failure. As already mentioned, it may be very helpful in healing herpes cold sores when used topically with sage. At the same time, evidence for the following conditions is considered to be insufficient: constipation, gum disease, high cholesterol, gonorrhea, certain cancer, non-alcoholic fatty liver disease, hemorrhoids, diarrhea, stomach pain, indigestion, high blood pressure, sepsis, and weight loss and obesity. Much more study will be needed before it can even be determined whether or not rhubarb should be considered promising, let alone effective, in the treatment of those conditions. Most studies have indicated that when consumed as a food and aside from cases in which an allergy is present, rhubarb is usually considered safe. It is also possibly safe for people to take orally as a medicinal supplement for up to three months. 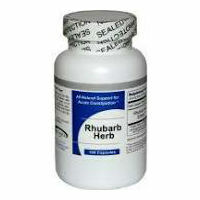 Still, taking rhubarb supplements can be associated with certain side effects such as watery diarrhea, intestinal and stomach pains as well as uterine contractions. Using this substance over the long term can lead to bone loss, muscle weakness, irregular heart rhythm and potassium loss.